The Son is an American 60 minute scripted western television series, which kicked off on April 8, 2017, on AMC and is broadcast every Saturday at 21:00. The show is currently in its 2nd season. AMC has officially confirmed the renewal of The Son for Season 3. The exact release date is yet to be announced so far. Sign up to track it down. 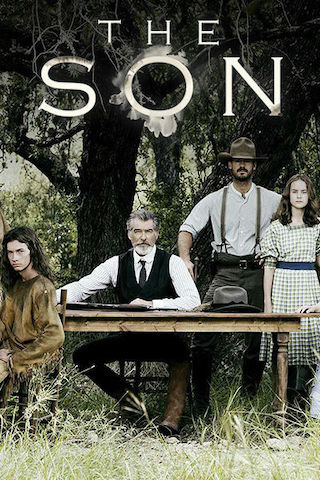 May 12, 2017 - AMC today announced that it has renewed its Western drama, "The Son" for a second season. Starring Pierce Brosnan, "The Son" is a sweeping saga about a Texas ranching and oil family based on Philipp Meyer's New York Times best-selling and Pulitzer Prize finalist novel of the same name. The series will return to AMC in 2018 with 10 new episodes. "The Son" is an epic family saga spanning three generations and 150 years of the McCullough family. The series traces the transformation of Eli McCullough, the charismatic family patriarch, from good-natured innocent to calculating killer. He loses everything on the wild frontier, setting him on the path to building a ranching-and-oil dynasty of unsurpassed wealth and privilege. Eli's eldest son Pete, has grown up in his father's shadow and struggles to make him proud while forging his own identity. Pete's strong-willed daughter, Jeannie idolizes her grandfather and despite being raised in a male-dominated world, rejects her fate of existing solely to marry and bear children. Eli's ruthlessness pits him against his wealthy Spanish neighbor, Pedro Garcia and his quest for power triggers consequences that span generations. Shared through a series of flashbacks, "The Son" pulls viewers into the world of young Eli McCullough and his father figure, Comanche war chief, Toshaway and deftly explores the McCullough's rise to become one the most powerful family dynasties in Texas.